Leatherette is one of the best preferred materials in the world. 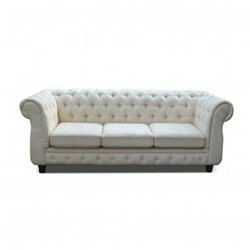 A leatherette sofa can be quite extraordinary and bold, taking centre stage in your living room when done right. Furnstyl brings you an extensive selection of leatherette sofas. In our website Furnstyl.com or Leatherette sofa store in Delhi NCR & Noida Sector 63 you find luxurious leatherette sofas of various attractive colors including cappuccino, licorice, burgundy, butterscotch, chocolate, and cream. Best luxurious furniture showroom in Noida provides best sofa in solid wood including Sheesham wood, teak wood, mango, Etc. you purchase our furniture at nominal market range and we don’t cheat you for any reason. We also provide you 2 years warranty for our any product you purchase from our website or our showroom that is on B-159, Sector 63, Noida, Uttar Pradesh. Our carpenters are well work experienced that customize your any product whatever you want to do.